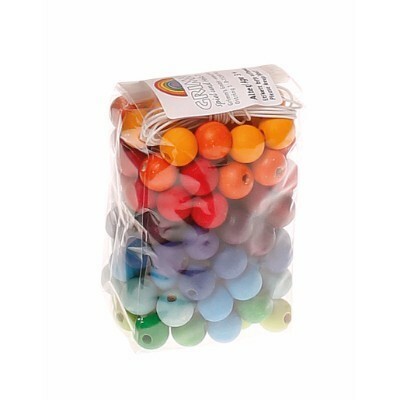 Wooden beads are one of the most basic play materials for children. While threading, the eye-hand coordination is stimulated and fine motor skills are trained. Ideal storage: the Sorting Helper 10299 sort and keep all the coloured wooden beads from our standard offering. 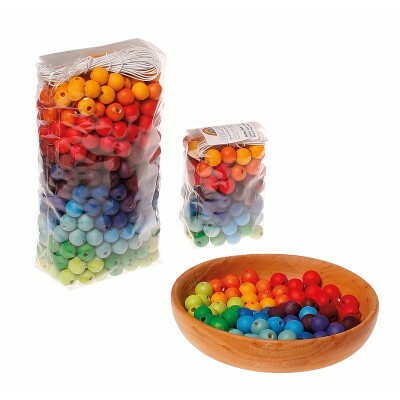 Quantidade: This colourful wooden beads are sorted with 12 rainbow colours. 120 wooden beads.